I didnt see a guide on this so i figured i would make a Picture Guide!! Yay!! 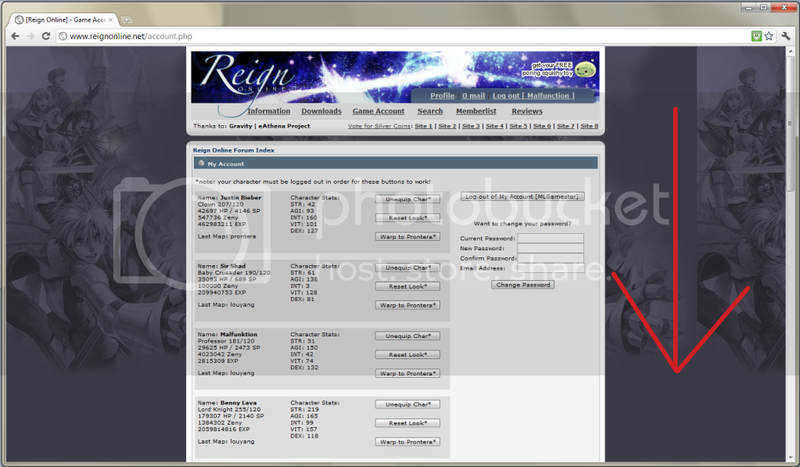 Log in with the account you use to log into reign online not the forums! Enter the amount you want to donate. The rate is 1usd = 1 credit! And then just pick your method to pay and the rest should be cake. 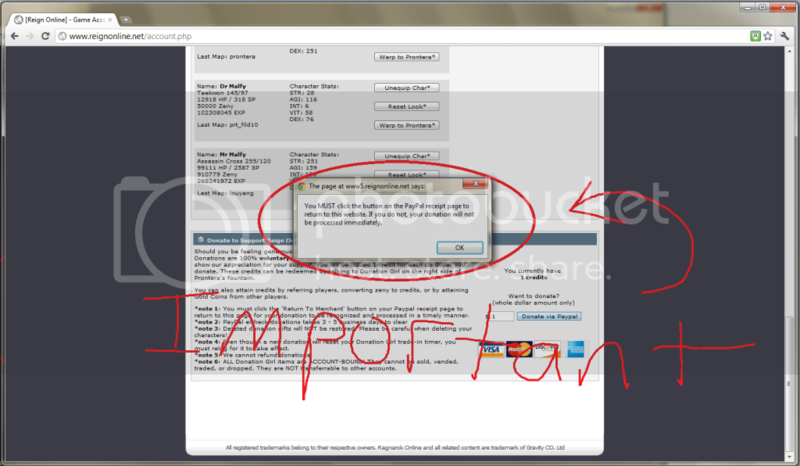 remember to let it return to the website or else it will break and luzz will have to fix it! other characters are just different forms of the word Malfunction. In other words look out for the pink dude! Anyway, good job, Malfunction. Sweet, simple, and to the point. Edit : Derp he said that. 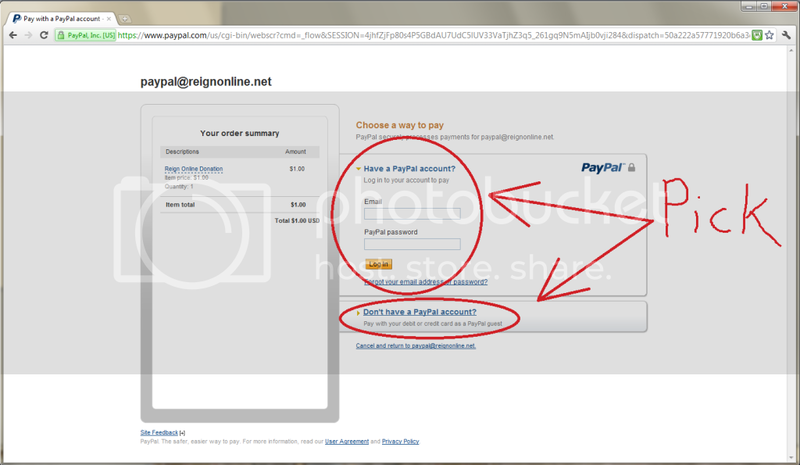 Just to let those who use Paypal checking accounts, your transaction can take up to 3 days. Just letting it be out there lol. 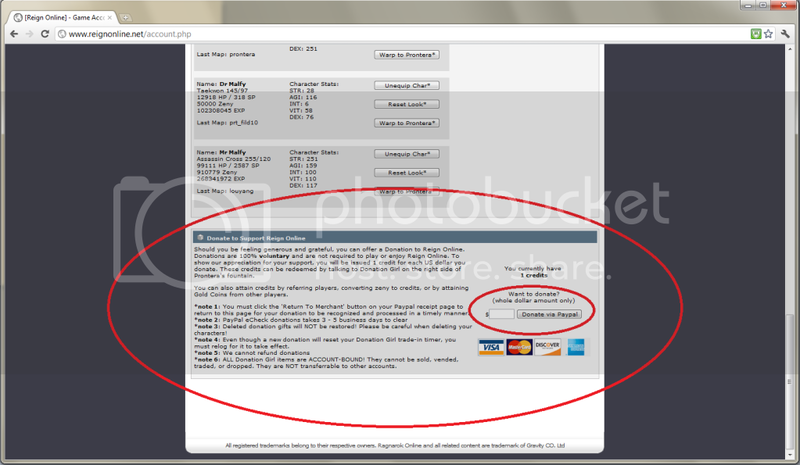 I believe this goes for regular cards linked to checking accounts. Not positive but possible! There is an apostrophe in the word "can't". Just wondering but shouldn't this be in How-To? :O But I guess this works too. Debit cards are instant, just like credit cards.